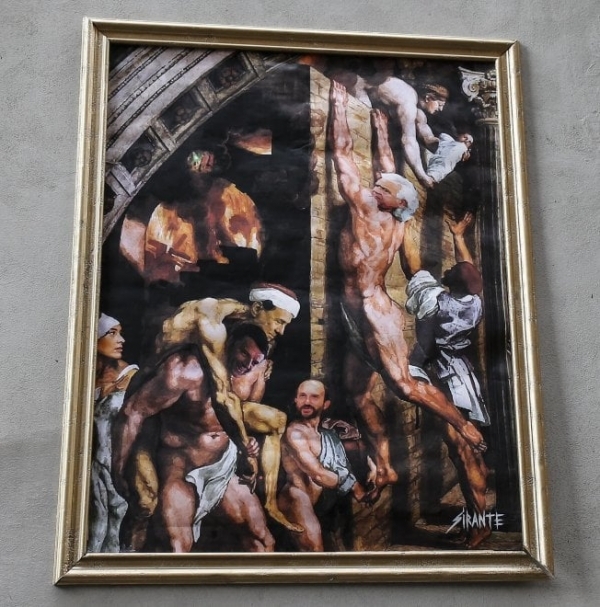 Rome, Italy: new piece by Italian artist Sirante who depicts Italian current politicians. The mural, created with polemical intent, associates them to a painting by Raffaello entitled “Incendio di borgo“. As usual, the work has already been deleted. But not here!